John T. Williams, Jr., M.D. Alfred J. Cook Jr., M.D. Traumatic injuries are those sustained in a single incident, in contrast to chronic injuries like arthritis. Whether you have a broken bone, torn muscle, or ligament damage, your injury can be classified as a traumatic one if it was caused by a traumatic event like a car crash, fall, or by participating in sports. AOI can assist in properly identifying and effectively managing your injury, as well as developing a treatment plan to swiftly restore your mobility. As skilled orthopedic surgeons, we can treat trauma and fractures of shoulders, elbows, hands, wrists, hips, knees, ankles, and feet. Open vs. Closed: an open fracture will be one in which the bone breaks through the skin, while in a closed fracture the bone remains cracked more or less in place. Open fractures are far more dangerous, since the wound can easily be infected. Clearly, some fractures are more serious than others, and a fractured thumb will affect you much differently than a fractured femur. 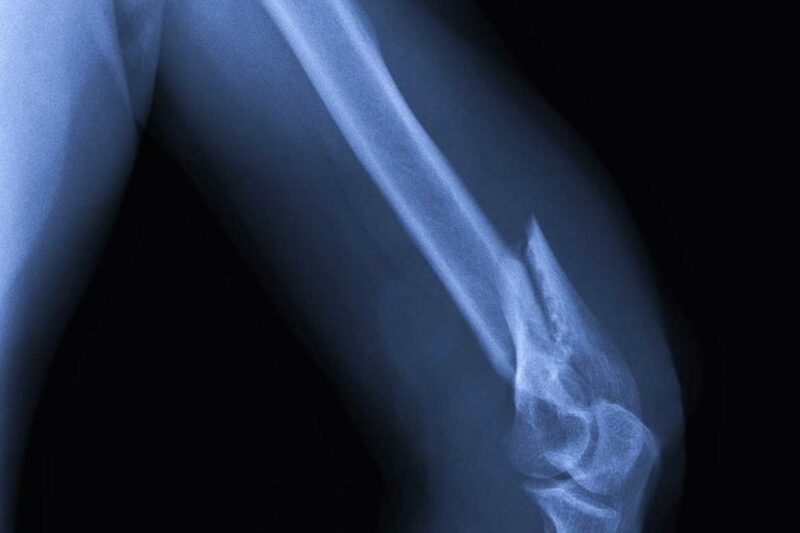 The orthopedic experts at AOI are able to effectively treat any kind of bone fracture. Soft-tissue injuries are also commonly sustained during a traumatic event. These are mainly classified as sprains and strains. At AOI, we have experienced orthopedic doctors who are more than capable of assisting you with the evaluation, diagnosis, and treatment of your traumatic bone or soft-tissue injury.